Only a hand full of tickets remain for the social highlight of the season, Midnight in Marrakesh, the 18th annual International Polo Charity Ball. 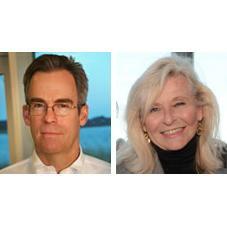 Beneficiary Save The Bay will be represented by Jonathan Stone and Joan Abrams. Jonathan Stone took the helm of Save The Bay in 2009, after many years of support as a member and swimmer in the annual cross-bay event. Like many Rhode Islanders, Jonathan has always enjoyed a deep connection to the Bay, where he regularly swims, kayaks and fishes. Taking the helm of Save The Bay gave him a unique opportunity to play a leadership role in protecting Narragansett Bay and inspiring the next generation of Bay stewards. During his tenure, Save The Bay has successfully challenged ill-conceived and damaging infrastructure projects, sounded the alarm on changing climate conditions, completed dozens of habitat restoration projects, achieved major legislative victories, expanded Save The Bay’s environmental education programs, and strengthened its financial foundation. Joan Abrams has been a longtime contributor and leader in the Save The Bay community. During her tenure on the leadership council and as president of the board, Abrams oversaw a successful capital campaign to fund the construction of Save The Bay's Fields Point facility. In 2016, Abrams became the Major Gifts Officer, reinforcing the organization’s efforts to strengthen long-term relationships with donors and increase philanthropic support for its mission to protect and improve Narragansett Bay. Newport’s polo season will reach its social highlight this summer with Midnight in Marrakesh, the Newport Polo Club's 18th annual International Polo Charity Ball on Friday, August 3 at Rosecliff, one of Newport’s famed Bellevue Avenue mansions. The annual black-tie gala will fête guests of honor, the Moroccan Polo Team, for a night inspired by Moroccan culture from iconic couture fashion, dancing to lively rhythms, exquisite gourmet cuisine & mixology, and heart-warming philanthropy, welcoming international guests of honor, the Moroccan Polo Team, and supporting the 2018 beneficiary, Save The Bay. The black-tie gala is an annual sell-out event, drawing nearly 400 attendees for an evening that will begin with a pre-gala Cocktail Meet & Greet with the Moroccan Team, at Gurney's Newport Resort & Marina, then on to Rosecliff for a reception on the terrace, where guests can contend for enticing Silent Auction items, and enjoy cocktails & hors d’oeuvres, overlooking breathtaking garden & water views of Rhode Island Sound. A seated gourmet dinner created by Blackstone Caterers will be presented in the gilded ballroom and salon. Dance the night away to live entertainment 'til the stroke of midnight. The odyssey's finale ascends to the Skybar atop Clarke Cooke House for a last dance. The celebration continues the following day at the Newport International Polo Series where the featured match is USA vs. Morocco on Aug. 4, concluding with an authentic New England Lobsterbake. Tickets to the polo match and Lobsterbake can be purchased online.